One of India’s most renowned and uncompromising journalists, Arun Shourie is well known for introducing a new style of aggressive, independent investigative journalism to India. 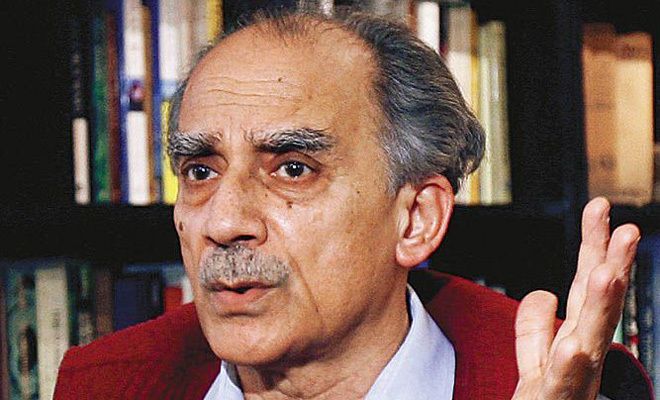 He has uncovered scandals and corruption in the Indian political scene, including what has been dubbed as the “India Watergate.” Among the many battles Shourie fought for press freedom, perhaps the most famous was his crusade against the government’s proposal in 1988 to introduce a defamation bill. It was widely believed that the bill had been introduced with unusual speed in Parliament in an attempt to muzzle The Indian Express, and the entire media community joined Shourie and The Indian Express in condemning the move. Shourie’s involvement in politics has led to significant contributions in shaping the country’s policies and procedures. From 1999–2004, he held several significant ministerial portfolios. As the Minister of Disinvestment, he undertook the difficult task of privatizing a number of public sector companies and is well known as the privatization czar of India. The procedures developed by him for disinvestment are now being emulated in other parts of the world. As Minister of Communications and Information Technology, he implemented policies that helped the telecommunication industry in India grow rapidly and quadrupled the use of cellular phones. A former Union Minister of the Government of India, Shourie is presently a sitting member of the Upper House of the Indian Parliament (Rajya Sabha.) He is the recipient of some of the country’s most prestigious awards including the Padma Bhushan, Magsaysay Award, Dadabhai Naoroji Award, Astor Award, and International Editor of the Year Award. A prolific writer, he has written several articles and books including Worshipping False Gods and The World of Fatwas. Shourie previously served as an economist with the World Bank between 1967 and 1978, and as a consultant to tThe Indian Planning Commission from 1972 to 1974. He was also the Editor of The Indian Express. Educated in Delhi at Modern School and St. Stephens, he went on to earn his Doctorate in Economics from Syracuse University.